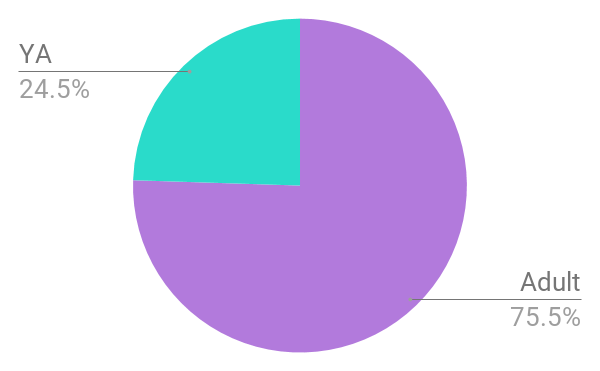 2018 Reading Goals Check-In: How did I do? I love doing end of the year/beginning of the new year blog posts. 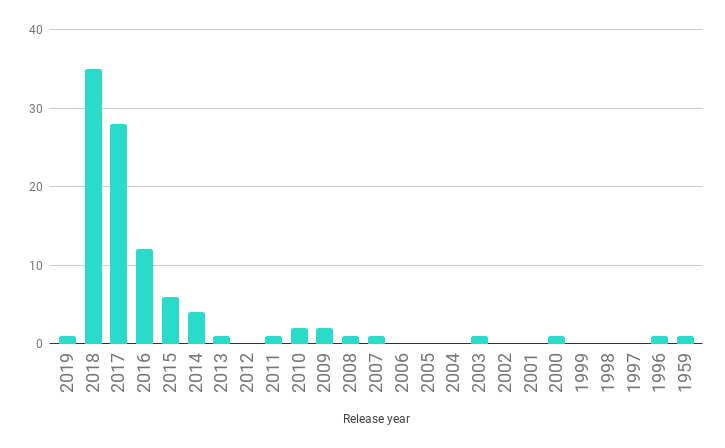 I always find it really interesting to think about what I predicted I would read over the course of a year versus what I actually did read, and I like seeing what I can learn from that to read more widely/more enjoyably in the future. 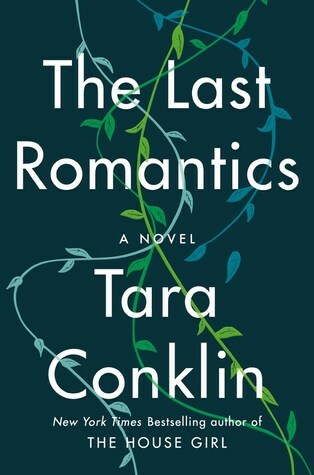 I’ve already posted my most anticipated books for the first half of 2019 (here and here if you missed them; I ended up doing two posts since I left out a bunch in my initial post), and today we’re going to delve into the reading goals that I set for 2018 and whether or not those turned out to influence my reading over the course of the year. 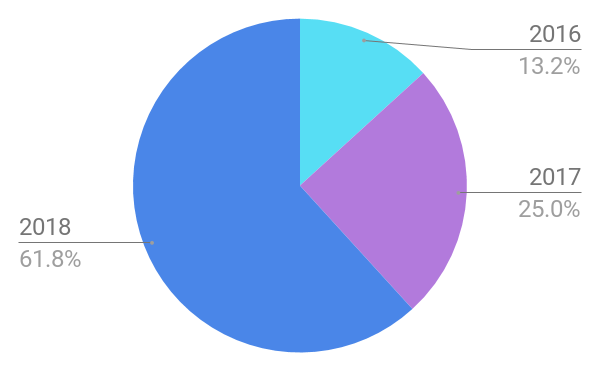 Before we get started, I will say that I may have forgotten about my reading goals post for a good portion of the year, and definitely did not continue to refer back to it over the course of 2018. So, um, that didn’t exactly help. Read at least one Catherynne M. Valente book. I did this! I read Space Opera in November and absolutely loved it. I will say that Space Opera was NOT the Valente book I had in mind when I set this goal, though; I specifically mentioned Radiance, Deathless, and Palimpsest. Spoiler alert: they’re on my 2019 TBR. But technically, I did accomplish this goal. Read at least one Octavia Butler book. Failure. I mean, over the course of my reading life, I’ve read 5 Octavia Butler books, so it’s not like she was an author I’ve never read before, but I didn’t read any new-to-me books by her in 2018. This is one of the goals that I completely forgot I set for myself. That being said, I’ll absolutely continue to read more from Octavia Butler in the future; I just didn’t this year. Read at least one Margaret Atwood book. See Octavia Butler. I’ve read a ton of her books, but in 2018 I specifically had wanted to pick up Stone Mattress and/or Hag-Seed, and I didn’t. Those are both books that I know I’ll absolutely read, but haven’t been in the right mood for yet. Read more short story collections. I read 5 short story collections in 2018: Get in Trouble by Kelly Link, The Color Master by Aimee Bender, The Dark and Other Love Stories by Deborah Willis, Children of the New World by Alexander Weinstein, and The Merry Spinster by Mallory (who now prefers to be called Daniel) Ortberg. I think this is around the same amount that I read last year, but I don’t really count it as a fail, since I still read a decent number of short story collections. And I also read 2 nonfiction essay collections, which I place into a similar category. Read more than one classic. Fail. I read one book that I think would be considered a modern classic (The Haunting of Hill House by Shirley Jackson, pub 1959), which I really didn’t enjoy. Besides that, the oldest book I read in 2018 was Bellwether by Connie Willis, which was published in 1996. Read big books. This is a continuing goal, mainly because I really enjoy giant novels but struggle to put them on TBRs because I’m worried I’ll somehow miss out on reading other, shorter books. In 2018, the biggest books I read were House of Leaves by Mark Z. Danielewski (709 pages; this book has been on my TBR for literally ever, so I was really glad to finally read it) (and then I ended up really disliking it, but oh well), The Bone Clocks by David Mitchell (624 pages), and Obsidio by Jay Kristoff and Amy Kaufman (615 pages). I did read a bunch of books that were between 400 and 500 pages, though, which sort of counts. Ideally, I’d like to have read more big books in 2018, but I did OK.
Read more diversely. This is sort of an ongoing goal that you can’t really pass or fail at, since there is always room for improvement. 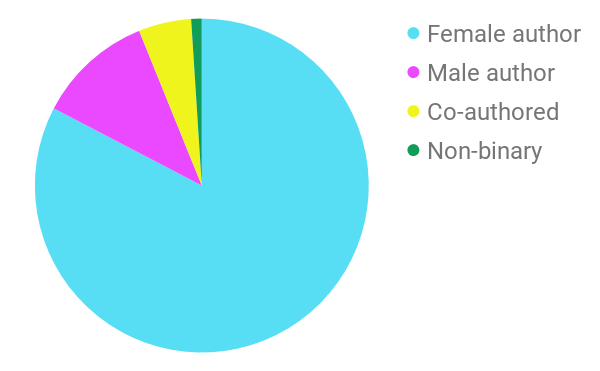 In 2018, I did consider carefully what books and authors I was picking up, and tried to read more from authors of color while maintaining my mostly-female author ratio. 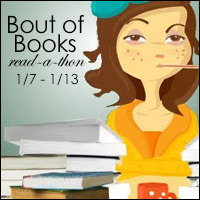 Find some new great YA authors/books. Definitely a success! Several of my favorite YA series were ending this year, so I had wanted to find new YA favorites to take their place. And I found a bunch! In Other Lands by Sarah Rees Brennan, I Crawl Through It by A.S. King, and Furyborn by Claire Legrand were my favorite YA reads this year, but I also read first-in-series Ace of Shades by Amanda Foody and The Cruel Prince by Holly Black, and I’m planning to read the sequels to both in 2019. I also enjoyed standalones Eliza and Her Monsters by Francesca Zappia and Neverworld Wake by Marisha Pessl. Overall, it was a great reading year for me YA-wise. 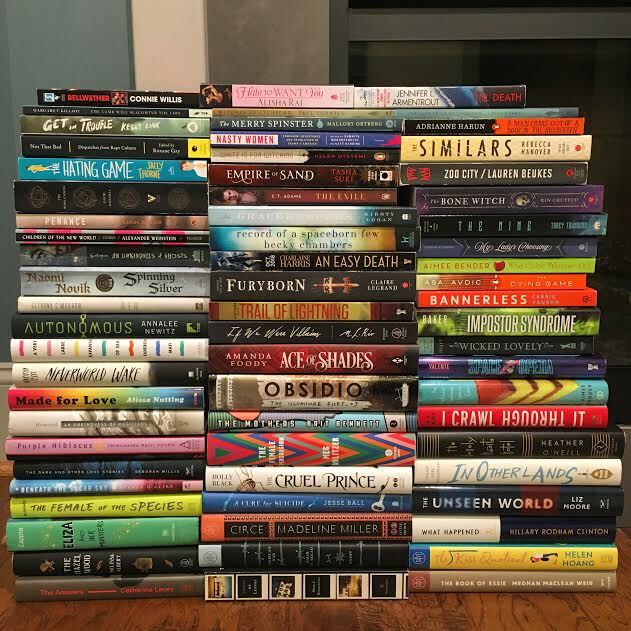 Read the ten books from my “Top 10 2018 TBR” list. This is probably the worst of my goal failures. I had chosen 10 books that I definitely wanted to read in 2018, and I only ended up reading 3 of them (An Unkindness of Ghosts by Rivers Solomon, The Bone Clocks by David Mitchell, and The Lonely Hearts Hotel by Heather O’Neill). I was also hoping that the books on my top 10 TBR list would be 5-star reads, wheres the three that I read ended up being 4 or 4.25 star reads instead. #readmyowndamnbooks. A success! 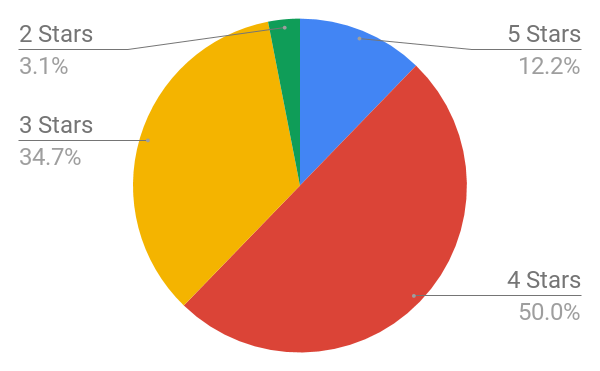 The vast majority of my reading this year was from books on my physical TBR shelf (around 68 out of 98 books, according to my rough count, since I haven’t done my stats post yet). Overall, I didn’t do too badly, but there’s definite room for improvement in 2019. How did you do on your reading goals for 2018? December ended up being a busier and less reading-heavy month than I anticipated, but that’s okay, since I did finish the two books that my goal was to read and review. I celebrate Chrismakkuh, which means that there are generally a lot of holiday-related things going on throughout the month of December–even more so this year, as Hanukkah and Christmas were so far apart. But overall, it was a good reading end to 2018, especially as I managed to sneak in one last book from my top 10 TBR for the year as my last book for 2018. The Lonely Hearts Hotel by Heather O’Neill (4.25 stars) – The Lonely Hearts Hotel follows simultaneously lucky and unlucky orphans Rose and Pierrot, who are artistically gifted but coming of age in Montreal during the Great Depression. It follows them through their childhood at a harsh orphanage, their separation and descent into different aspects of Montreal’s underworld, and path toward their dreams of a show together. I had mixed feelings throughout a lot of this book, but I ended up really loving Rose’s character and her arc, particularly towards the end. I thought that the writing was fairytale-esque and often beautiful, but sometimes became almost too silly, so that took away from the rating a bit. But there’s a lot of really wonderful aspects to this book, and I’d recommend it overall. It’s definitely difficult to read at times, especially due to the instances of child abuse, but it exposes a lot of essential truths that are often difficult to articulate. The Nine by Tracy Townsend (4.25 stars) – I was surprised by how much I enjoyed this unique fantasy novel, which features tons of action and plot twists along with unique and morally grey characters. I did a full review of The Nine here. Autonomous by Annalee Newitz (3 stars) – Autonomous imagines a future where crime seems to revolve around pharmaceutical piracy, as prescription drug costs have skyrocketed and only the rich can afford to live long and healthy lives with the aid of medication. We follow Jack, a pirate whose distribution of a reverse-engineered drug reveals the fact that the original drug is deeply flawed and causes deadly addition to its consumers. 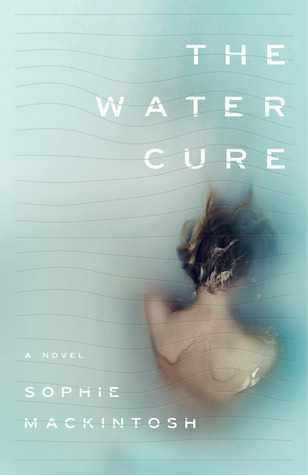 As Jack flees the authorities tracking her down, she’s also trying to find a cure for the dangerous drug she unwittingly distributed. I thought that the premise of Autonomous was really interesting, and the scientific aspects were well-thought-out and detailed, but the actual plot left something to be desired for me as it was mainly an extended chase that focused alternately on Jack and her pursuers. A Very Large Expanse of Sea by Tahereh Mafi (3 stars) – I’m a huge fan of Tahereh Mafi’s Shatter Me series so I was really interested to check out her contemporary YA debut. A Very Large Expanse of Sea follows Shirin, a Muslim teenager who has just moved to a new town and a new high school a few years after 9/11. While pursuing her passion of breakdancing, Shirin is forced to deal with rampant prejudice from the people around her. I absolutely loved Shirin as a main character. I loved that she was complex and passionate, with a bunch of diverse interests and hobbies (breakdancing, sewing her own clothes, art, journaling) yet she finds it really difficult to connect with other people due to the racism she experiences on a near-constant basis. I would have been happy reading a book entirely focused on Shirin, her family, her breakdancing crew, and her opening up enough to make friends, but unfortunately the book focused much more on her romantic connection with Ocean, the star of her school’s basketball team, who I found to be a much less interesting character. The Similars by Rebecca Hanover (3 stars) – I received an ARC of The Similars at BookCon, and will be posting a full review within the next week. Essentially, I really liked the book’s main character, but I had a lot of issues with the plausibility of the plot. 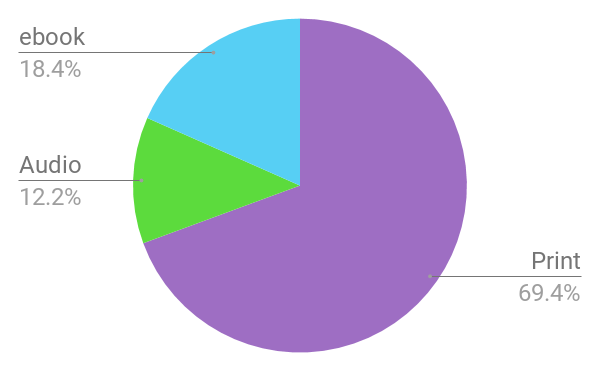 How was your reading in December? Are you already looking ahead to your reading in 2019, like I am? So…yeah. A few weeks ago I patted myself on the back for being all ready to post about my most anticipated 2019 book releases, and I really liked the way that the post turned out, because at the time it contained all of the books at the absolute top of my list for the first half of next year. Then I started hearing about more and more fantastic-sounding book releases that I somehow missed hearing about before I posted that blog. I was debating whether I should go back and add to the original post, but organization-wise, I really hate that thought, so here we are. 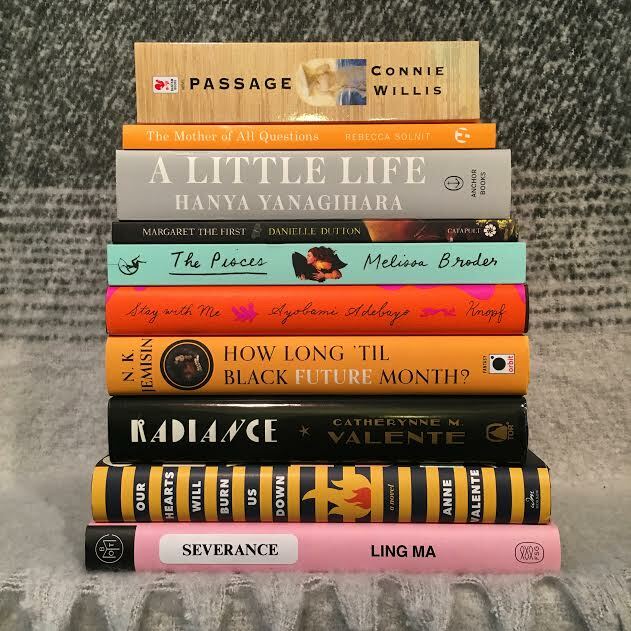 It’s another list of highly anticipated 2019 book releases! 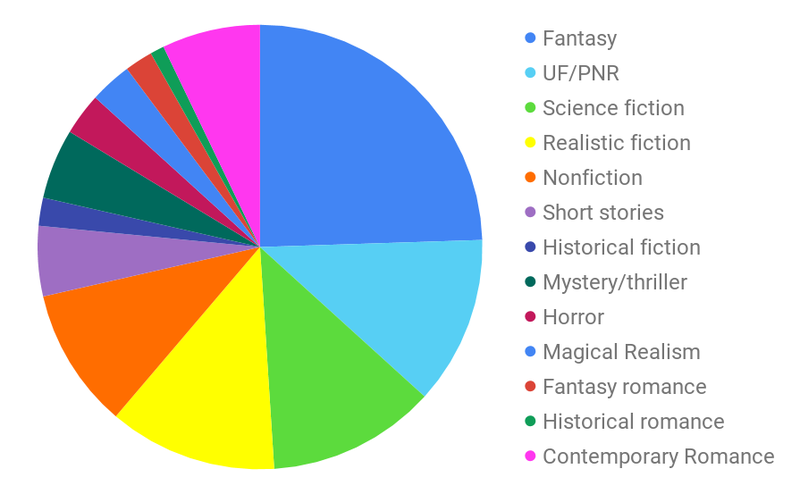 Overall, I’d say I know less about the books on this list than on my previous one, because a lot of those were sequels and books from authors I already know I love, whereas these are mainly books I don’t know a ton about and most are from new-to-me authors. Because of that, I probably won’t have quite as much to say about them. In order of release date, here we go! 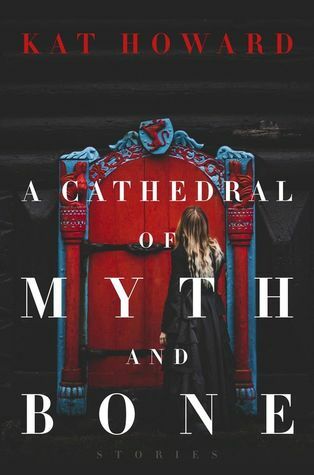 A Cathedral of Myth and Bone by Kat Howard (release date January 8th) – I honestly don’t know how this one got left off of my original post, because it’s a) a short story collection and b) from an author I really like. I’ve read two previous books by Kat Howard (Roses and Rot and An Unkindness of Magicians) and loved her creative concepts and strong female characters in both. 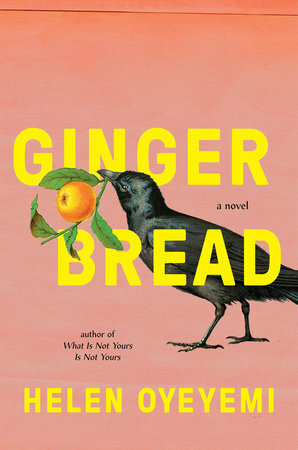 According to Goodreads, this collection focuses on stories about “the lives of women untold and unexplored.” OK, 2019, just take all of my money. 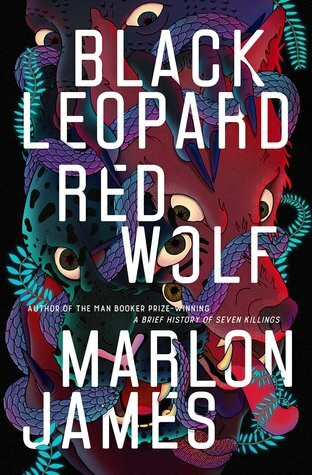 Black Leopard, Red Wolf by Marlon James (release date February 5th) – I’ve already been hearing so much hype about this book, the first in a new fantasy series by Man Booker prize-winning author Marlon James, and since I’ve been looking for a unique new fantasy series to dive into, I’ve got my eye on this one. 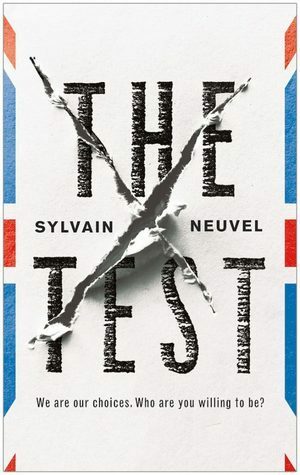 The Test by Sylvain Neuvel (release date February 12th) – all I know about this one is that it’s a Tor.com novella about a citizenship test that turns out to have deadly consequences. That’s really all I need to know. I did read Neuvel’s previous book Sleeping Giants, which I enjoyed but wasn’t blown away by, and I’m not sure if I’m going to continue with that trilogy, but I’m on board for this novella. 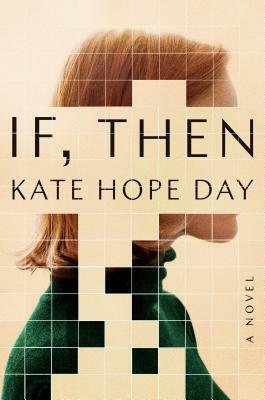 If, Then by Kate Hope Day (release date March 12th) – From Goodreads, “The residents of a sleepy mountain town are rocked by troubling visions of an alternate reality in this dazzling debut that combines the family-driven suspense of Celeste Ng’s Little Fires Everywhere with the inventive storytelling of The Immortalists.” Alternate reality visions? Yes. 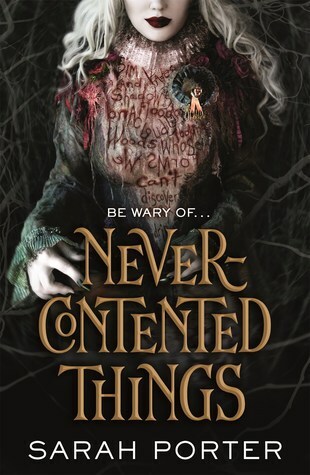 Never-Contented Things by Sarah Porter (release date March 19th) – Great cover. Great title. 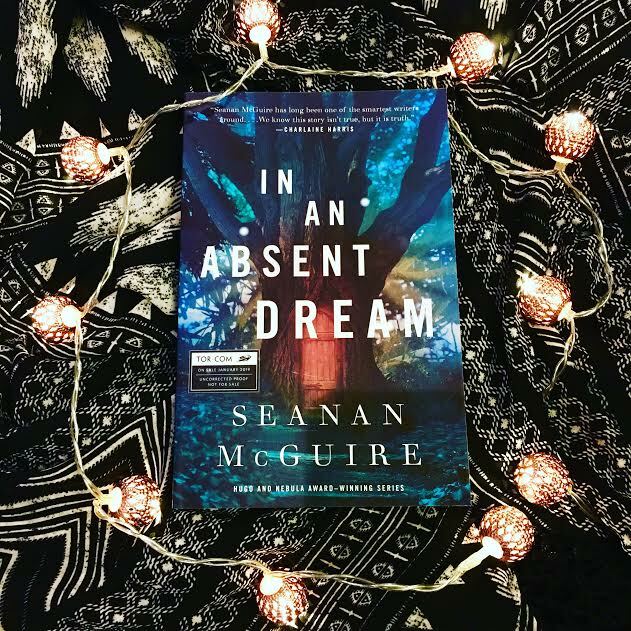 Dark, fae-related YA fantasy. I’m into it. 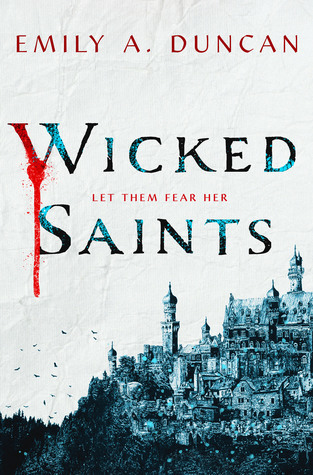 Wicked Saints by Emily Duncan (release date April 2nd) – I’m always here for a dark YA fantasy. I honestly don’t even need to know much about this one; it’s happening. 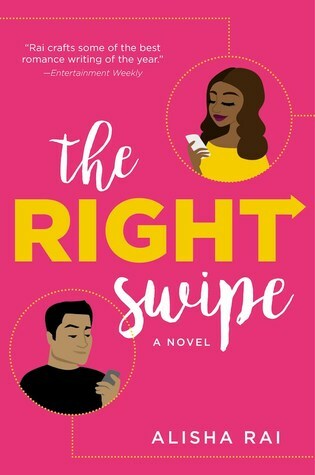 The Right Swipe by Alisha Rai (release date July 2nd) – Technically I’m breaking my rule about only posting about books being published in the first half of 2019 with this one, but it’s close, so I’ll let it slide. 2018 was the year I discovered the fantastic Alisha Rai after seeing her speak so eloquently on a panel at BookCon about the problem of toxic men in romance novels, and I’m really looking forward to whatever she writes next. From Goodreads: “Alisha Rai returns with the first book in her sizzling new Modern Love series, in which two rival dating app creators find themselves at odds in the boardroom but in sync in the bedroom.” Of course they are! Did any of these make your most anticipated list for 2019? What books have I still forgotten? Let me know in the comments!